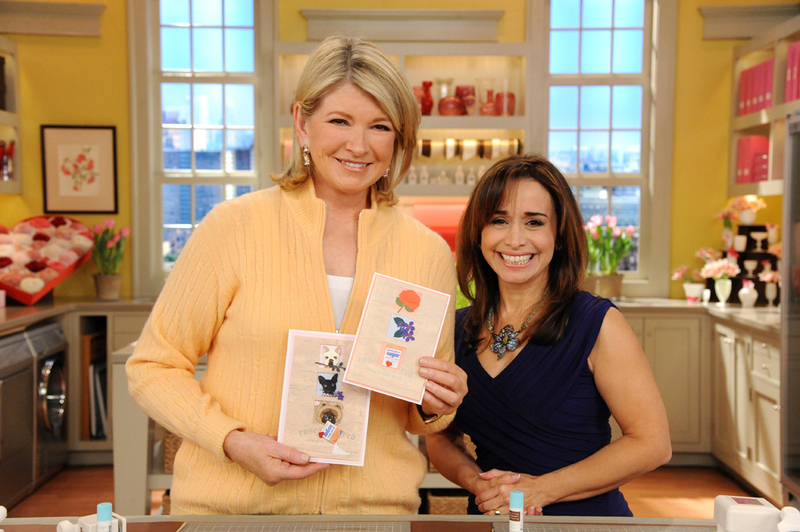 Rosa was privileged to appear on the Martha Stewart Show a second time on February 1, 2011. She and Martha, again, crafted one of Rosa’s Valentines Day cards. Here Rosa is pictured with Martha and the cards they created. Click here for the Video and How to Article.